The name Scott Robinson is well-known around the South Bay and especially in our hometown of Torrance, CA. If you’re in the market for a brand new Chrysler, Dodge, Jeep, or Ram – or even a Fiat or SRT model – come and see us, we’ll be happy to show you around and let you kick some tires. We’ve got all the latest Chrysler brand models like the stunning new 200 and 300 sedans, the family-friendly Town & Country and Dodge Grand Caravan, even throttle-happy muscle cars like the Dodge Challenger and Dodge Charger (and the SRT Hellcat versions of both, ME-OW!) Come see us to check out the all-new Dodge Dart, the trail-ready Jeep Wrangler, the spacious Grand Cherokee, the versatile Jeep Patriot, and the entire lineup of hard-working Ram pickup trucks and commercial vehicles. 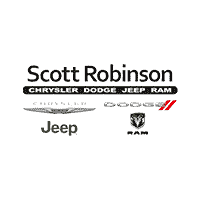 Scott Robinson CDJR also stocks a wide variety of high-quality used vehicles from an array of different makes as well as a great inventory of certified pre-owned Jeep, Dodge, Chrysler, and Ram models for sale in Torrance, CA. Another thing Torrance-area drivers love Scott Robinson Chrysler Dodge Jeep Ram for is the great number of automotive service you can find here under our rooftop. If you are in need of expert vehicle repairs, visit our certified Service Center on Hawthorne Blvd. and get your car treated by a staff of factory-trained mechanics. We’ve got a large inventory of genuine MOPAR parts and accessories for sale in the South Bay, from spark plugs to mufflers to wheels and even off-roading and towing equipment. You can also get great vehicle financing from our in-house Finance Department if you are in need of an affordable car loan for your new or used vehicle purchase. Scott Robinson Chrysler Dodge Jeep Ram is proud to be a long-standing part of the Torrance, CA community. Come and see us today for competitive pricing and friendly service in all of our automotive departments.